The chance to work on a real life business project as part of my post graduate degree was such a brilliant experience. 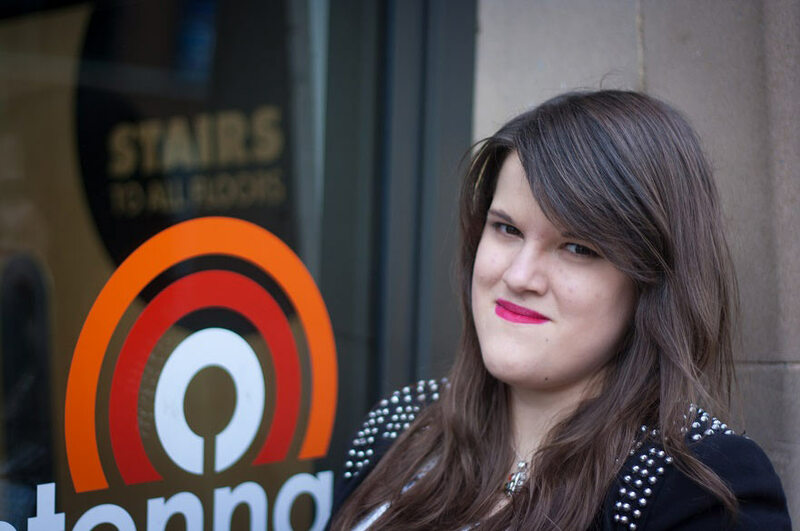 I came to Nottingham Trent University for my undergraduate degree to study Media and Journalism. I’d had the media bug since I was at school, when I got the chance to work on the school’s radio station, and also as a radio presenter and journalist, reading stories to children. I realised then that I’d like to make my career in this field. I was accepted on to several University courses including one in Vienna. However, I had visited Nottingham before and thought it was a really great place, so decided to accept a place at NTU. While I was a student I worked as a Student Ambassador at events, and also got some temporary jobs, including for GameCity in Nottingham, which was a really great experience. After I graduated from my degree I started looking for jobs but realised that I was missing some skills, so I came to an Open Day here at NTU and spoke to the course leader for the MSc in Marketing, Advertising and Communications. She told me all about the course and answered my questions. The MSc seemed to offer me the chance to get the experience and know-how I really wanted, including a chance to have a really relevant work placement, so I applied. The MSc offers a module where you can take on a real-life business challenge as part of the degree. I was offered a chance to work for Confetti which is an important local hub for creative industries and also an institute of creative technologies. It has six brands or strands to its business. I was briefed to work on a project for Confetti Institute to look at the student journey from recruitment to completion and develop a communication strategy. I’d never worked in an organisation in this way before and I felt some trepidation, but everyone was so friendly I quickly felt at home. It surprised me that I learned a lot about myself while I was on the placement. I not only learned about how the organisation worked, and how teams work together, but I found out a lot about my own strengths. I realise that I like to have time to think about things on my own as well as be part of a team that each contributes something. It was so much more than another University assessment, because I was working for a real client and along with my fellow students I respected that. Being on this MSc course, learning all the things I’ve learned, having the tutor’s support, and having this chance to have a placement project was a real advantage to me and my career. At the end of my placement I gave a presentation to the CEO of Confetti and its Head of Marketing. They were really happy about my work and wanted to offer me a job. With NTU’s help and some funding from Santander they were able to offer me a paid placement, and when that was finished I was offered a full time permanent contract with them. I’m now responsible for marketing for the commercial strands of the business, and I also get to see incoming students who are on placement, from the University and also local FE colleges. I think my own earlier experience as a placement student helps them feel at ease, and I enjoy it. I’m now looking forward to seeing how far I can go with this organisation. I would really love one day to become the Marketing Manager for a large fashion brand, and at the moment I feel totally equipped to realise my dreams.